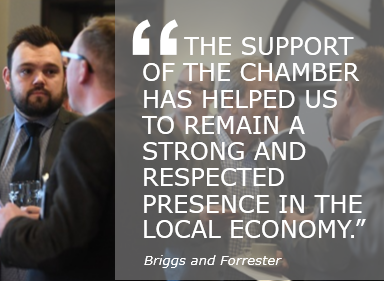 Chamber membership gives you access to a range of marketing opportunities. These will raise your organisation’s profile, increasing awareness of your products and services across Northamptonshire. Profile gives you access to media opportunities at a local and national level; submissions to inbusiness magazine (6,000+ circulation); a profile page on our website; enewsletter exposure; alphabetical and category inclusions in the Northamptonshire Chamber of Commerce Members Directory as well as opportunities to attend networking events, exhibitions and meet the buyer sessions across the county. We encourage all members to make sure they review all current business services and products offered by the Chamber to give your business exposure.